Dog Medicine takes on the stigmas surrounding mental illness and medication, while also crediting a very specific canine hero. A stunning new memoir from Julie Barton explores the topics of severe depression and canine companionship as treatment in poignant and revealing language. 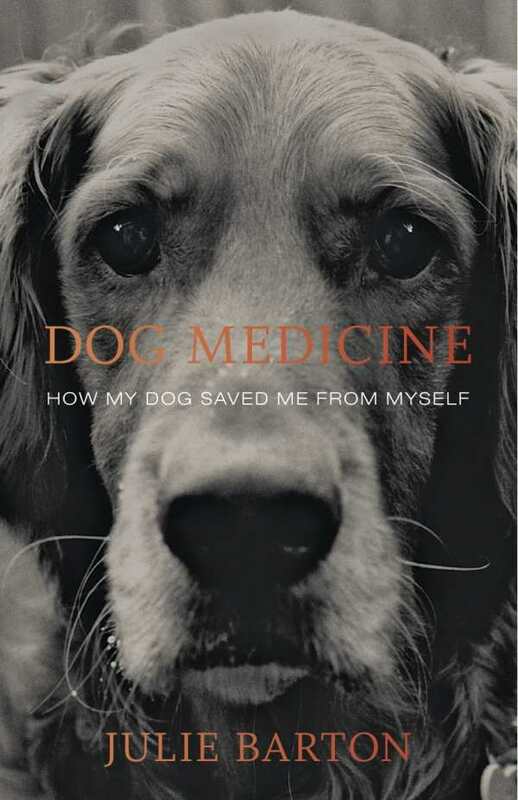 Dog Medicine will strike sympathetic notes with fellow sufferers and dog lovers alike. Barton’s breakdown came as a surprise. A successful publishing assistant right out of college, she seemed to have everything going for her in New York City. Despite her outward success, Barton found herself struggling through a fog of self-doubt and sadness. After a sustained emotional collapse—she describes her detachment as a divorce from her brain, as feeling buried under “dark and heavy moon dust”—she winds up back in Ohio with her parents, struggling to accept her psychiatrist’s diagnoses and working to regain some sort of footing. Dog Medicine takes on the stigmas surrounding mental illness and medication, with Barton bluntly crediting SSRIs (selective serotonin reuptake inhibitors, used to treat depression) with saving her life. It also addresses contributing environmental factors, and the grace with which Barton navigates her complicated and often abusive relationship with her brother bespeaks great authorial maturity. Her fluctuations, all of which are marked by both self-examination and internal turmoil, may serve as a compelling model for those who are battling any variation of depression. The raw, poetic flavor of Barton’s prose eases her delivery. A very specific hero also receives his due in the book. Bunker Hill, the retriever puppy with whom Barton feels an instant, soul-level connection, runs throughout the work as the figure who buoys her when she’s most at risk of relapse. He is born on the day she breaks down, is the first desire she’s willing to name after accepting her depression, and is her companion through the risky new adventures she undertakes. “Our meeting felt something like…two universes colliding, two hands clasping,” she writes, and this sense of connection proves life-saving to both dog and owner. A move to Seattle and a venture back toward love factor in to later portions of the memoir, and Barton details both with linguistic skill. Her willingness to air her own trip-ups and doubts—including a manic affair that threatens her rebuilt happiness—strengthens the work. So, too, do Bunker Hill’s own health challenges increase the emotional power of her pages. The ferocity and ingenuity with which Barton works to protect her ailing companion provide some of the most moving, and most hopeful, passages of her book. In the end, Dog Medicine is as much a work about self-acceptance and internal forgiveness as it is about the friends, both human and animal, who help us along the way. Barton commands both empathy and respect, and all of those who themselves battle depression, or who love someone who does, are certain to find this a powerful text.